I confess, I have never known anyone who made a cranberry pie. But a quick check of my vintage recipe resources led to me a recipe that turned out to be beautiful, delicious, and easy. Why have we fallen out of the habit of making these gorgeous pies? 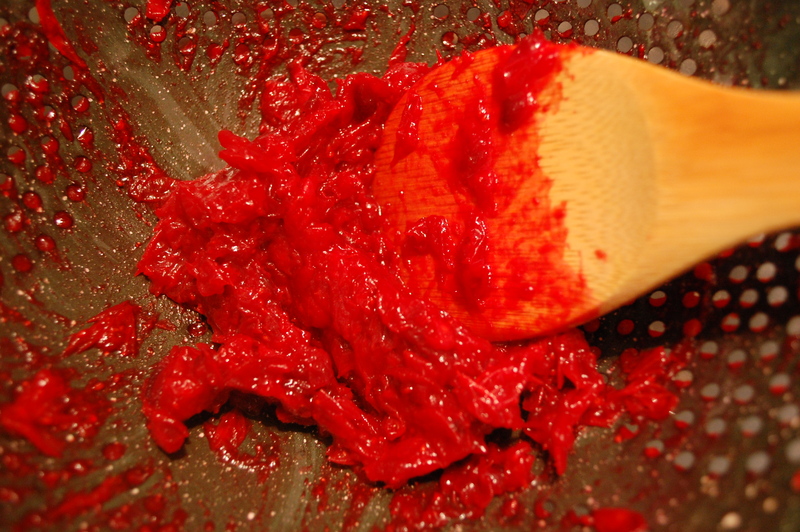 Take fine, sound, ripe cranberries and with a sharp knife split each one until you have a heaping coffeecupful; put them in a vegetable dish or basin; put over them one cupful of white sugar, half a cup of water, a tablespoon full of sifted flour; stir it all together and put it into your crust. Cover with an upper crust and bake slowly in a moderate oven. 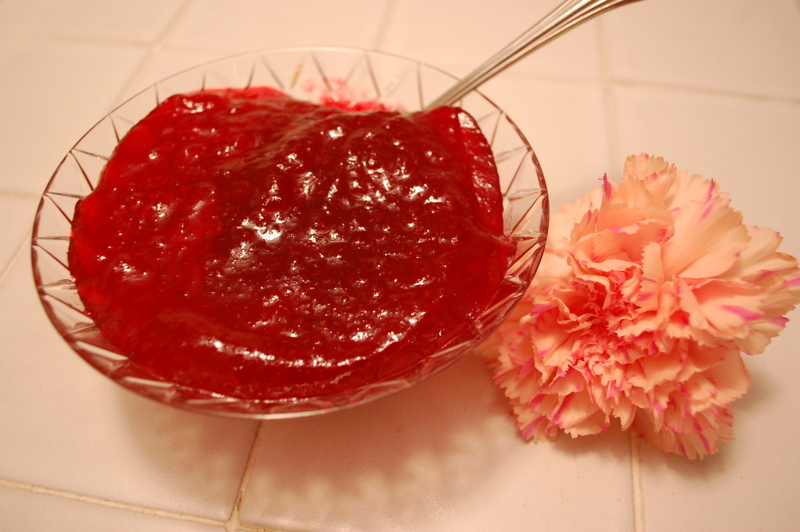 You will find this the true way of making a cranberry pie. As opposed to the false way? In any case, here is the modern version. You’ll notice I increased the flour because my berry pies are always runny unless I add more. 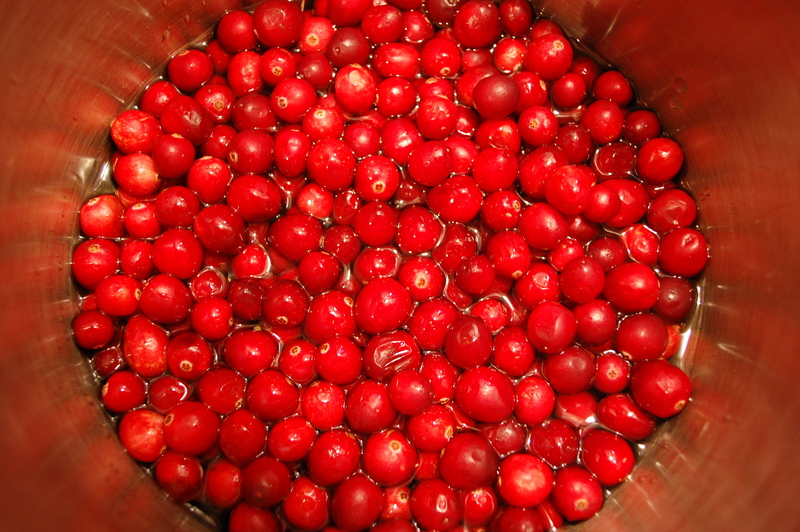 Boil the cranberries for five-10 minutes until they split. Drain water, allow to cool. 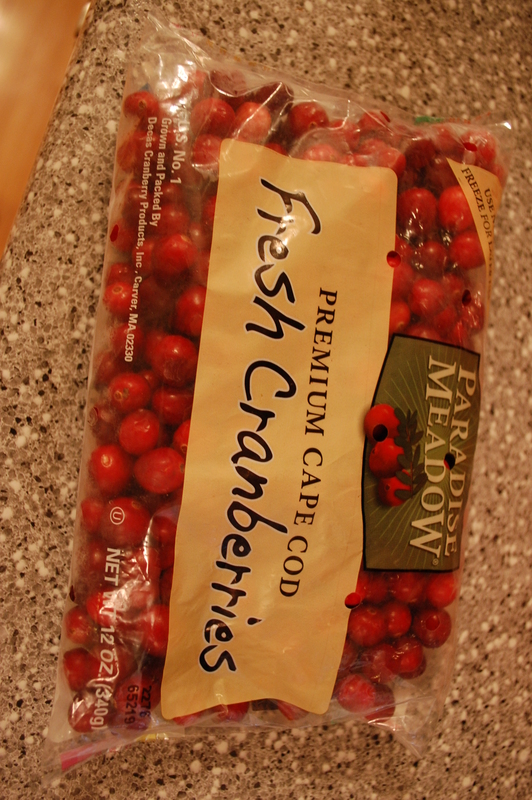 Put cranberries in a bowl. 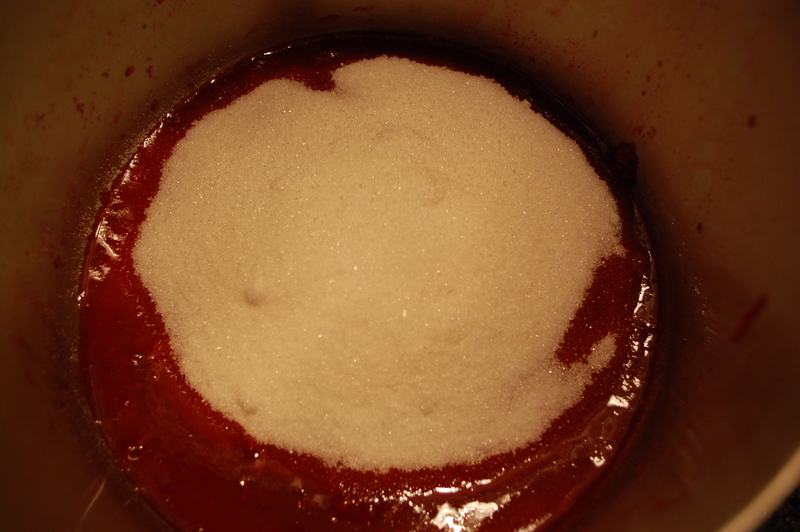 Mix with sugar, water, and flour. To make an easy pie crust, cut 3 tablespoons shortening into one cup of flour until it looks crumbly. 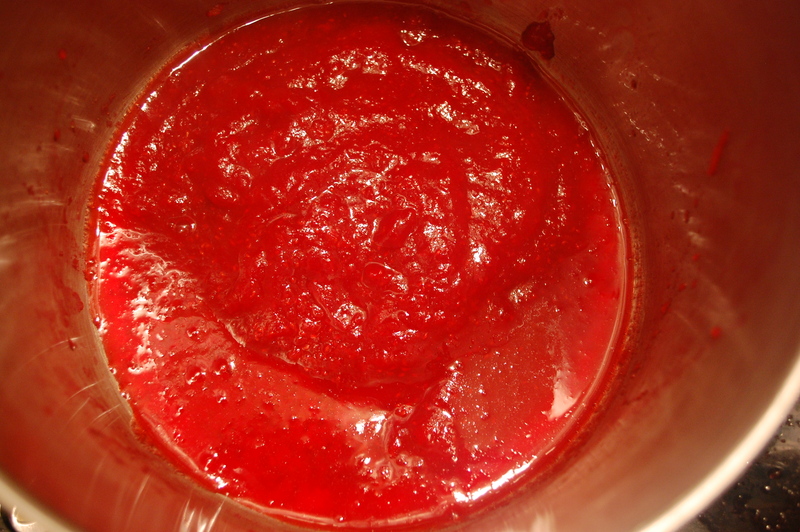 Add 6 tablespoons cold water and mix until it forms a soft dough. Then turn out onto floured surface and roll. Place one pie crust in pie dish. 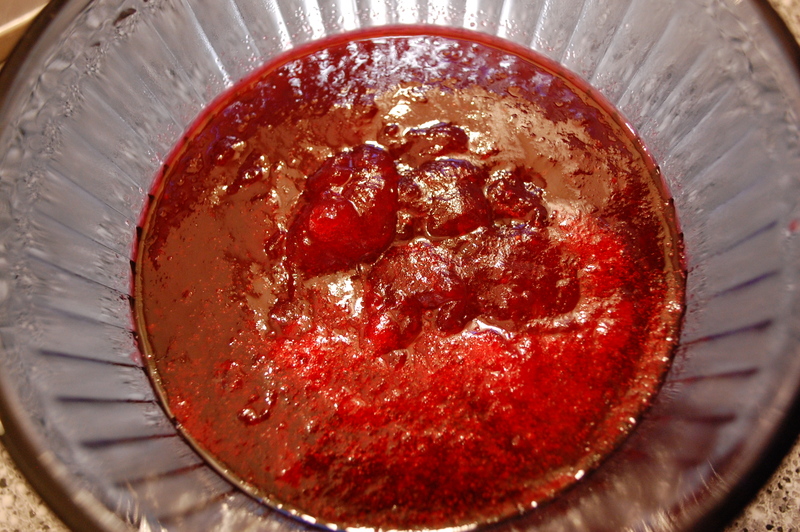 Put cranberry/sugar mixture into pie dish and top with remaining crust. Put the pie onto a pizza sheet to catch any liquid that might bubble over and bake in a 375 degree oven for 50 minutes or until the crust is golden brown and the liquid is bubbly. Let sit 5-10 minutes before cutting. As you can see, I’m not a big fan of an entire top crust on berry pie. I think it amounts to too much crust. So I use a trick my mother taught me-cookie cutter pieces! Since Valentine’s Day is right around the corner, the red backdrop of the cranberries goes perfect with hearts. The pie was perfect-sweet with a bit of tanginess. I think I’ll make another for Valentine’s Day! 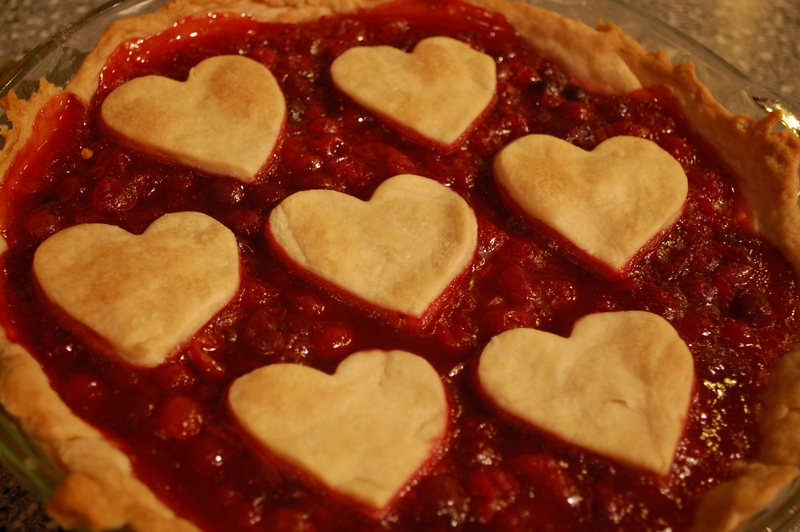 What a great way to show someone you love them-bake them a pie that’s beautiful, tasty, and packed with nutritional value! Enjoy!